Mr. 700 is missing! 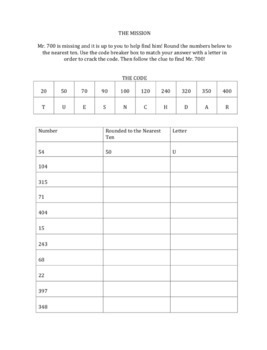 Students must round the numbers to the nearest 10 to crack the code and find where Mr. 700 is in the classroom, whether that be under the trash can or next to the window! 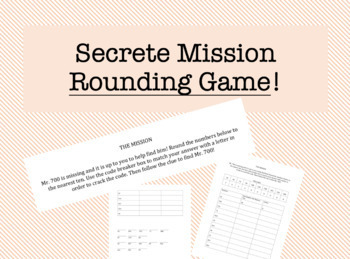 This is an engaging game students can play independently or in groups to practice rounding. 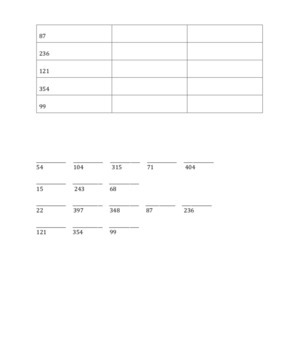 There are four different codes to crack, so not all students are finding the missing number in the same place, which helps with classroom management. Makes this a great group activity as well! More specific instructions are included in the file.